Ah, play dough, is there a more versatile plaything? We think not, and that’s why we love finding new ways to play with this good, old-fashioned toy. Whether you make your own or buy it, modelling dough is a brilliant craft cupboard mainstay. Rainy days at our place almost always call for a play dough session, usually with trucks and cars being driven across flattened dough to create patterns. 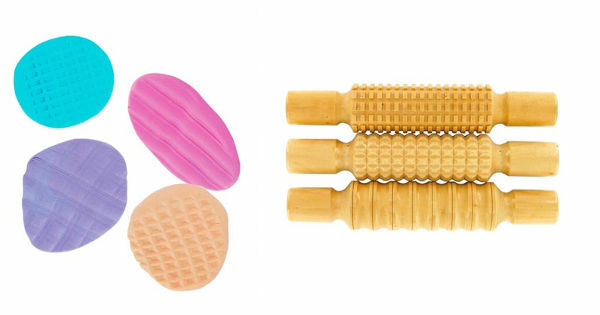 Micador has released these great rolling pins which will give play dough a whole new life. 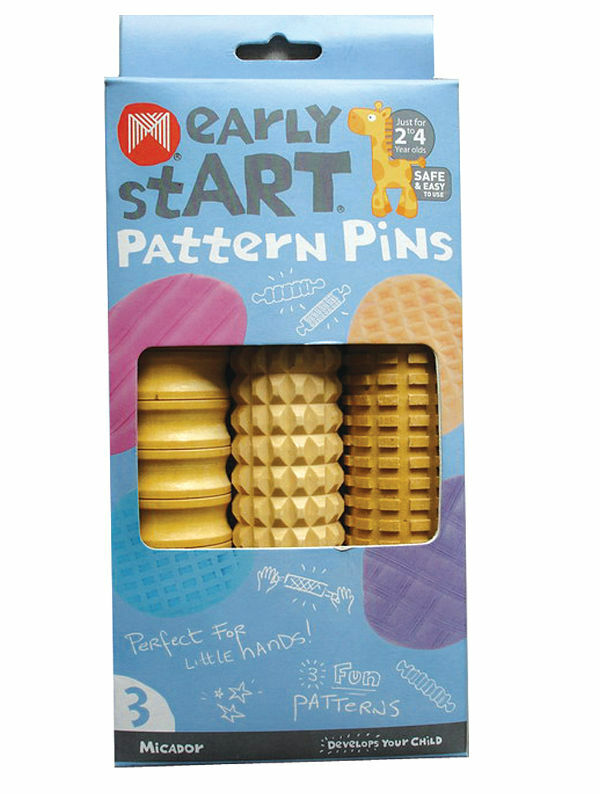 The pack of three Early Start Wooden Pattern Pins are a great addition to playing with play dough. Easy for little hands to use, they create interest indents into rolled dough, which can then be cut or styled. Recommended for kids between two and four years old, a set of these pins and some play dough make a great birthday gift. The set costs $20 and can be purchased from Micador.